Join Metro Marketing LLC and CJ Mertz, founder and Coach at CJMERTZ.com as we continue the series of training sessions“Conversion Strategies to Double Your Income” Session #2. Join Dr. CJ Mertz as he reveals the best conversion strategies to double your income in this training series specifically for Metro Marketing clients. First, they see each patient as “in” until they say otherwise, which creates enormous influence ability. Second, they see their care as the best and perhaps only solution for each patient’s health problem, which develops unparalleled confidence. Third, their team has fully committed to ONE process of NP conversion so that their results become highly predictable. Fourth, they are expertly trained to incorporate cash into their financial transactions, which greatly increases their results with NP conversions. Fifth, the specific language they say and props they use during report of findings creates an emotional shift in their NP’s, which is the number one key to higher conversions. During the “Conversion Strategies To Double Your Income” conference call training series, we will explore each of these key distinctions and how to cause immediate improvement in both your conversions and practice income. There will also be the opportunity for Q&A after the thirty minute training to answer your specific problems directly. The training will be limited to the first twenty five doctors who register. Upon successfully RSVP’ing to this event here on Eventbrite, you will receive the call-in details for our first training: Thursday, January 7th at 1:30pm Eastern Time (12:30pm Central, 10:30am Pacific). About Metro Marketing Metro Marketing has been providing new prospective patients to the chiropractic community for over 21 years. Close to 10,000 of your fellow chiropractors have utilized our marketing services since 1994. We will deliver new prospective patients into your waiting room, money back if we are unable to produce in your area. Our new patient program will help you to create a predictable new patient flow on a weekly and monthly basis. 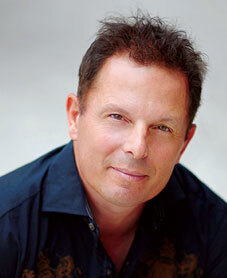 About CJ Mertz Since 1984, CJ has traveled more than three million miles and taught more than 750 seminars. Coach CJ has trained over sixteen thousand teams, performed in excess of 3,500 in-office practice evaluations, opened new offices as well as been involved in several multi-practice businesses. With over 25 years on all sides of this industry, including by age 28, having built his own practice, the largest in the world, he has a full circle of experience and wisdom to bring directly to you. 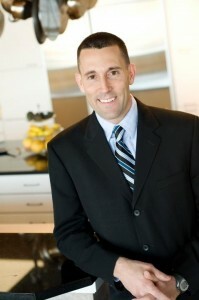 Dr. Dan Yachter is the founder of Y360Health (www.y360health.com), one of the most successful practices in the world, and has been in practice for over 10 years in Lake Mary, Florida. Today, Dr. Dan cares for thousands of patients each year at his state-of-the-art wellness center complete with an organic café, as well as numerous educational workshops on nutrition and wellness each month. Chiropractic Marketing Tools That Will Absolutely Grow Your Practice! Joe Hudak D.C. has been in practice for 16 years and has built his practice using telemarketing to attract new patients. Dollars to dollars he has found telemarketing to provide the best ROI. During this webinar Dr Joe will dicuss how he converts telemarketing patients. Promoting Your Practice For Pennies! Every practice needs to attract new patients. However, cash-strapped start-ups or existing practices can often have trouble finding the money to devote towards an advertising campaign. Join Dr. Pete Fernandez on May 3, 2012 @ 1pm EST to uncover and a layout the methods to master seven proven and effective ways to “Promote Your Practice For Pennies”. Dr. Peter G. Fernandez is the world’s authority on starting a practice. He has 30 years experience in starting new practices, has written eighteen books and over 200 articles on starting and building a practice, and has consulted in the opening of over 3,000 new practices. Whether you have been a practicing doctor for many years or you have just recently opened your doors for the very first time, it is imperative that you learn how to package and present your professional service to potential patients in an intelligent manner. On Thursday, April 21, best selling chiropractic author Dr. John Reizer will discuss how to successfully implement the most cost effective marketing tools in the modern chiropractic office. Chiropractic Medicare… Yes, You Can Do It Correctly and Make Money Too! This one hour presentation will be packed with valuable chiropractic Medicare information. Dr. Street will cover Medicare subjects every chiropractor and their staff must know. If you are Interested in increasing the number of personal injury patients in your chiropractic practice then don’t waste valuable time and money on ineffective marketing and advertising to attract personal injury cases. Learn how to build a highly successful, highly profitable Personal Injury Practice by Flooding Your Practice with New Personal Injury Patients!! Join Metro Marketing and Dr Pete Fernandez as he discusses the proper media to advertise in and what type of advertising you should be doing to obtain the best results. Dr Fernandez will share his expertise and proven methods on How to Attract Personal Injury Patients during this Webinar on Tuesday February 22, 2011 @ 2pm EST.